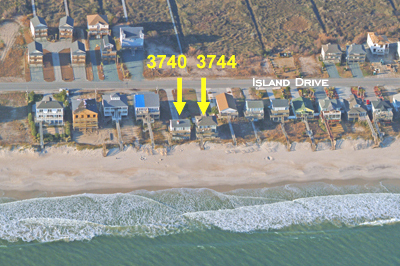 This is a great oceanfront home that has been a favorite to many over the past few years. It has 3 bedrooms with 2.5 baths and a large kitchen which opens to the dining area and a living area boasting a cathedral ceiling. 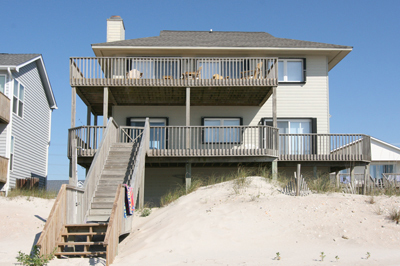 This Topsail Island oceanfront home sits directly on one of the nicest sections of beach along the North Carolina coastline. 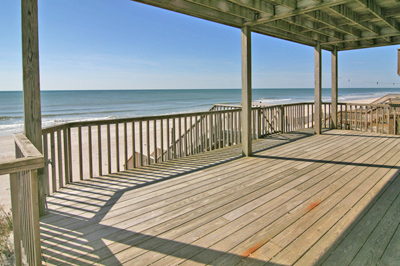 There’s lots of deck space with spectacular views of the Atlantic Ocean. Sit back and let dolphins put on a show for you. 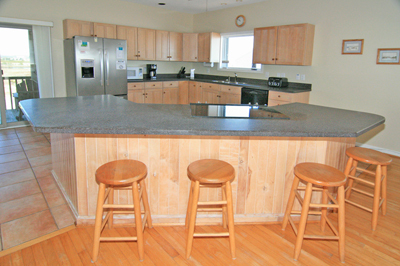 The kitchen is extra large and equipped with all the necessary items for basic meal preparation. 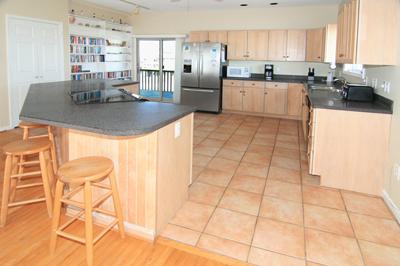 There is a balcony off the kitchen with views of the Intracoastal Waterway side of the island. You will also find a large bookcase offering many books to accommodate your reading pleasures. 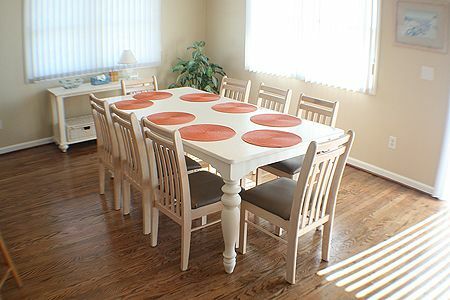 The dining room table, surrounded by ocean views, will comfortably seat 8 and the kitchen bar area will seat 4. There are ceiling fans throughout the kitchen, dining and living areas. 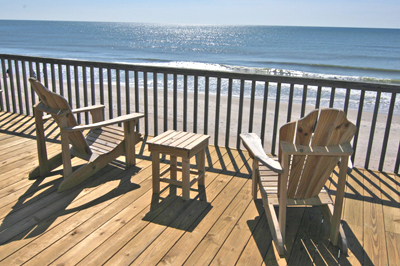 There is also access to the spacious oceanfront balcony from the dining area as well. 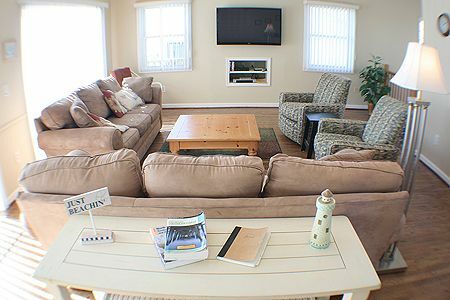 The living room is very nicely furnished with two large sofas along with nicely coordinated chairs. There is a large flat screen TV mounted on the wall with a DVD player available. 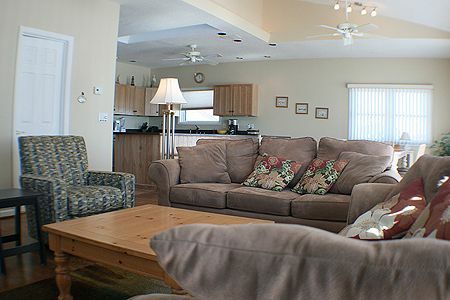 For your added convenience, WiFi is available throughout the property as well. 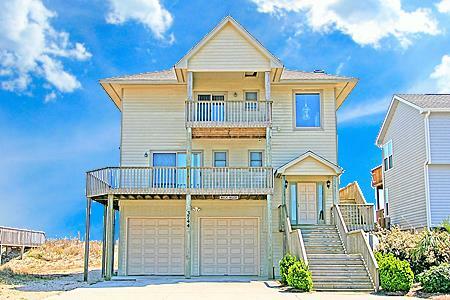 Windows all around afford those spectacular ocean views from this great Topsail Island vacation home. 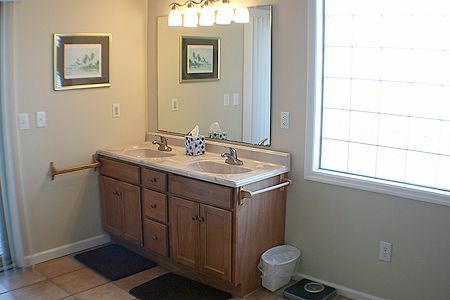 This level also has a large laundry room with a half bath, laundry sink and counter for folding clothes. 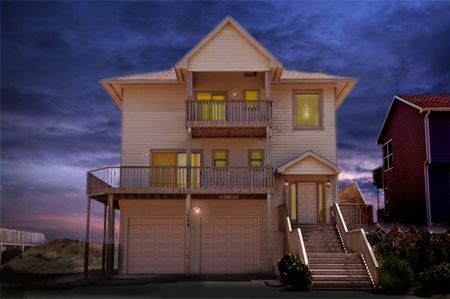 The master bedroom has a private balcony with water views on the Intracoastal side of the home. 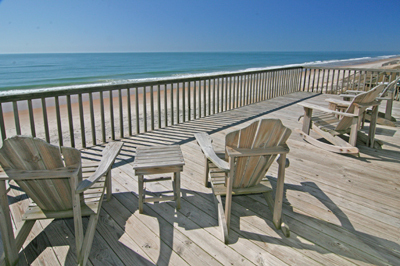 It also has direct access to the spacious oceanfront balcony which has a boardwalk leading directly out to the beach. There is a full bath with a large shower in the master bedroom and plenty of closet space. There is a flat screen TV in this room along with ceiling fans as well. 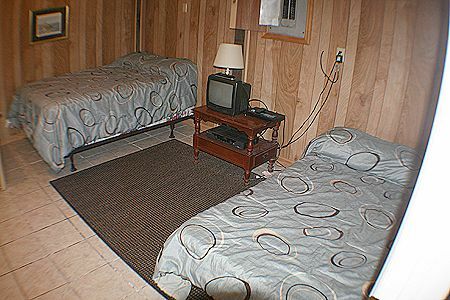 This room is equipped with two queen beds. 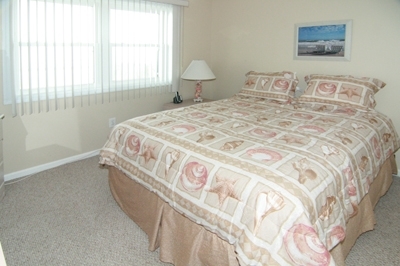 The middle bedroom on this level has a large flat screen TV along with a ceiling fan. It is equipped with a queen bed. 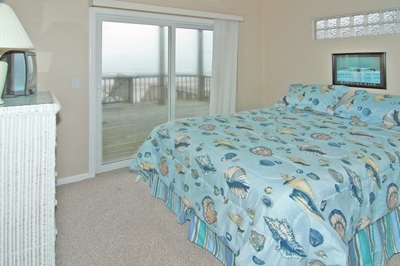 Bedroom three on this level has direct access to the spacious oceanfront balcony, a flat screen TV and a ceiling fan. 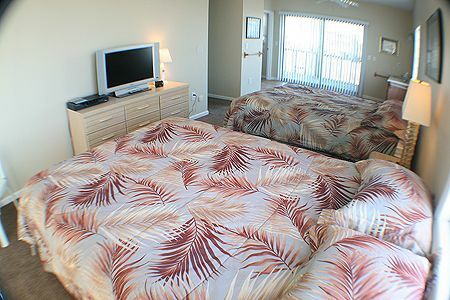 This room is equipped with a queen bed. 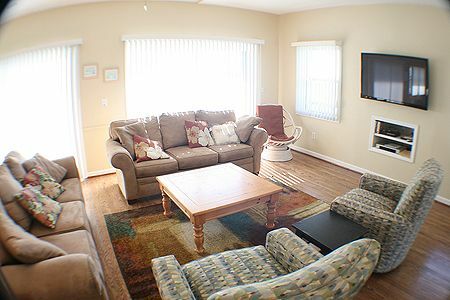 There is a bonus room in this house on the ground level, which is not considered an actual bedroom; however, there is one double bed and one rollaway in this room for your convenience, allowing for extra sleeping space. This home has many repeat guests that return year after year. It is a truly fabulous vacation destination.